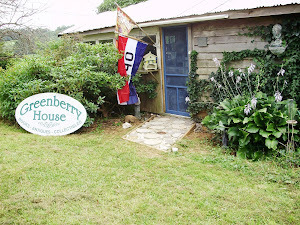 Welcome to Greenberry House! 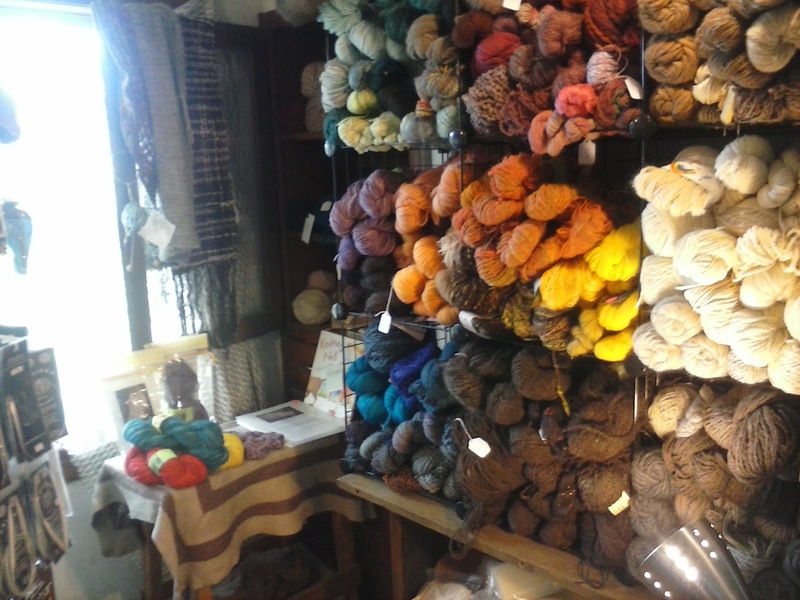 Here's a look at our beautiful little shop in Meadows of Dan, just off the Blue Ridge Parkway. Our summer hours are 10 AM to 5 PM, Saturday through Tuesday. Bargain books on the front porch! We'll begin our virtual tour on the front porch. 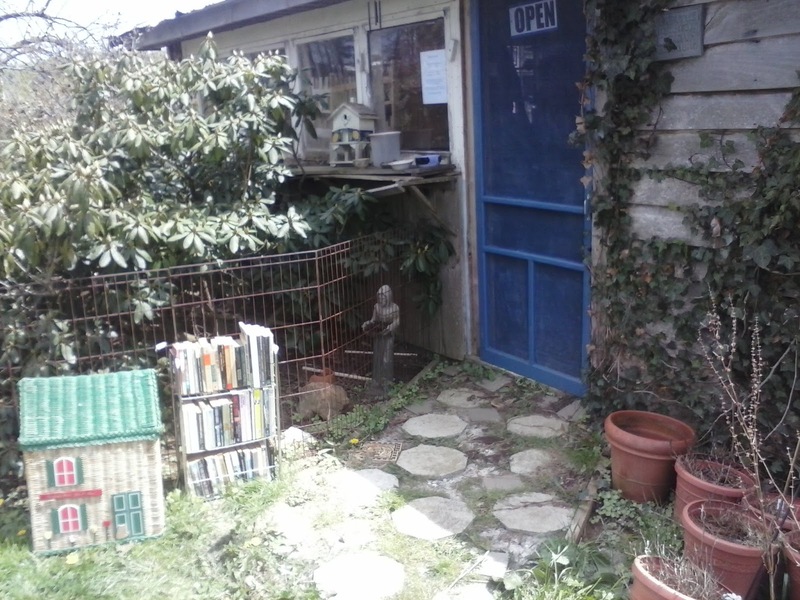 This used to be an open porch with brick and wood pillars but sometime along the way the family blocked it up and made an outdoor room out of it. I had windows put in because when I moved in there was only tattered plastic over the openings. A clever cousin figured out how to hang them and made button closures so that they could be open or shut as needed. Now that the porch is filled with books and cones of yarn, the windows stay mostly closed but can be opened from outside if needed. There's a shelf outside the window that needs to be repaired and I hope to replace the screen door with a permanent door before winter. 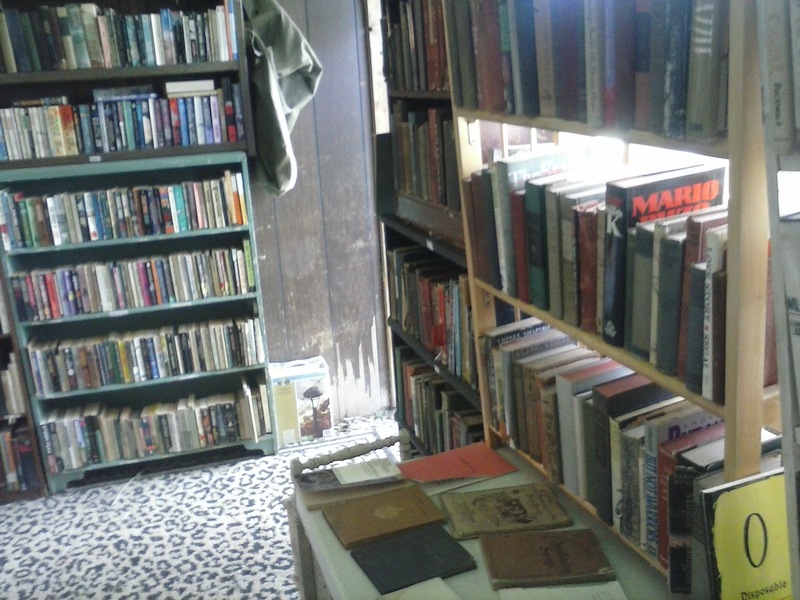 this where I have the bargain books that I call "Tattered Treasures," Good reading copies: the paperbacks are 50 cents and the hard covers are $1.00. 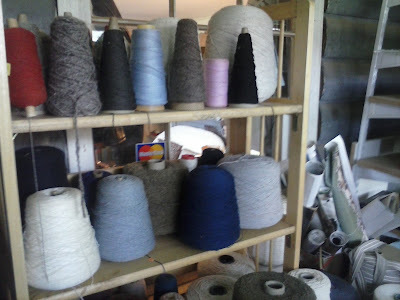 The coned yarns are also on the porch, along with a few collectibles and some great sheep posters. 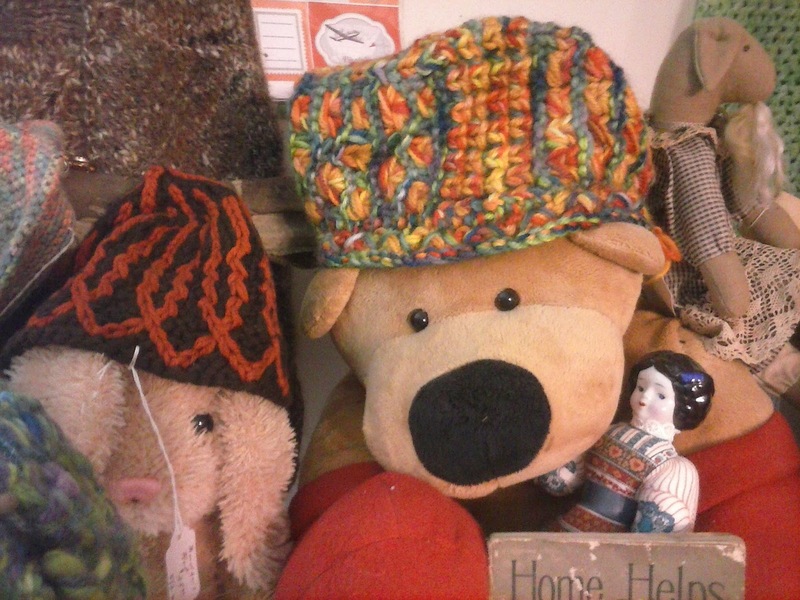 These yarns are on sale throughout the summer! Great for weaving, crocheting or knitting.Prices begin at $1.00! The original house was two rooms downstairs and two rooms upstairs. It was built in 1900 by a Mr. Hylton and belonged to my grandfather's uncle before my grandfather purchased it after he went to the West Virginia coal mines to get a "stake" to buy property. The farm now belongs to my brother, bluegrass musician Sammy Shelor. My father has a cottage on my part of the property. Family is very important to mountain people. I have book shelves lining the walls in this main room of the house, which probably served as a parlor or living space. There is a double fireplace in the center of the house but one side has been boarded up. I renovated the room to add a double window and alcove and a wall of bookshelves. 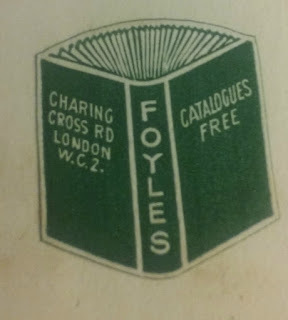 My quality book catalog is extensive and I continue to add more titles. 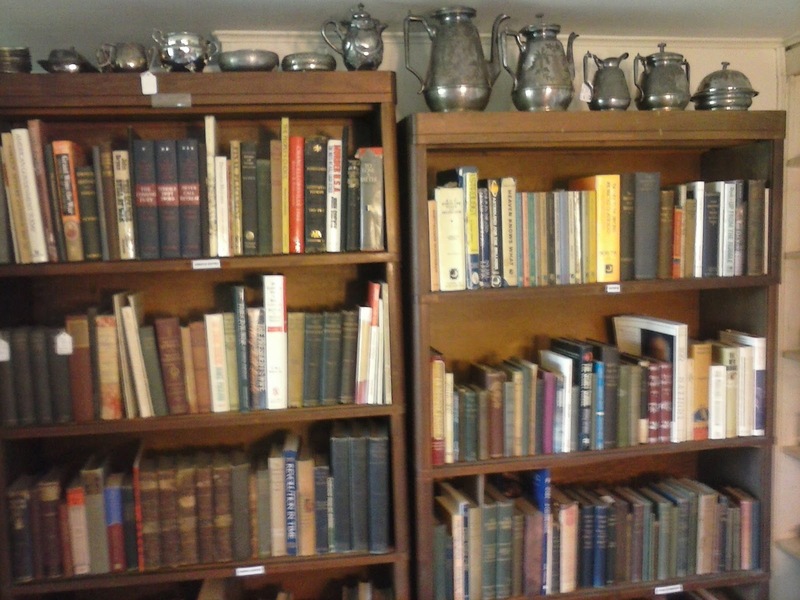 To see just a few of the books in the collection visit our online book catalog. 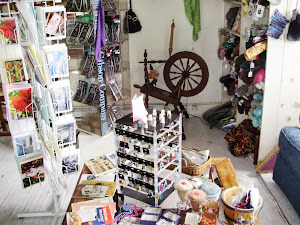 There are also a few collectibles here and this room serves as a cozy place for our Tuesday afternoon stitching group. I'm already trying to figure out a way to expand the yarn section, which is located in the little room that served as a dining room when I was a child. It's just off the kitchen and I'm eyeing the kitchen, which serves as an office and place for the dogs to hang out, to see if I can put more yarn there. It's either that or the bathroom! Quality wool and other fibers from local farms in our area. Our yarns are amazing for the simplest projects and the fine wools, which are not harshly processed like commercial wools, are next to the skin soft. 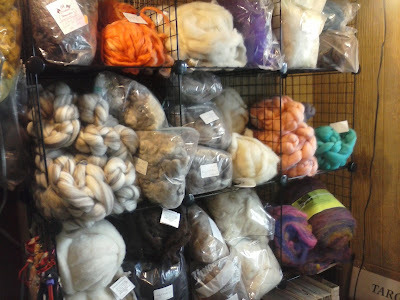 Our fibers are available by the fleece or in processed roving or batts. Great for hand spinning or felting. Great handmade hats by local artisans! It's hard to describe the next room, which is an eclectic collection of handmade hats, scarves, clothes, and knitted dishcloths, along with vintage collectibles that range through everything from toys to jewelry to vintage gifts to handmade cards. You'll need some time to see it all! 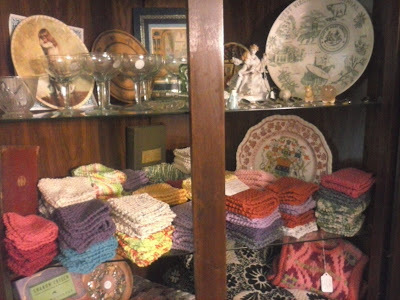 Hand made 100% American cotton dishcloths and vintage collectible gifts. Check out our other pages to learn more about resident artisan Leslie Shelor and about our animals, our projects and other news here at Greenberry House! For our online catalog please visit Scraps of American History. 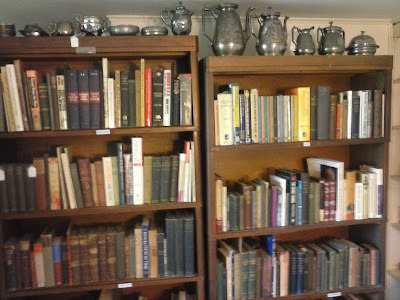 For our book catalog please visit our Biblio.com listings.. Hours are listed in the sidebar at the right. Please consider another hours listing. The sidebar doesn't display when viewing your site from a mobile device. Get the news from Poppy's! April to Thanksgiving weekend: Wednesday to Monday, 9 AM to 5 PM. December to end of April: Saturday and Sunday, 9 AM to 5 PM, weather permitting. 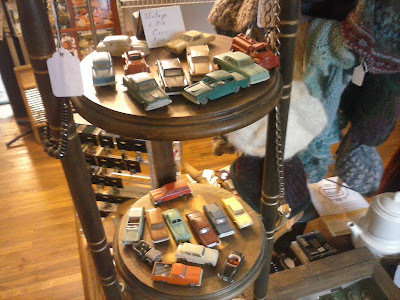 Visit our "annex" at Jerry & Connie's House of Collectibles, 3527 JEB Stuart Highway, Meadows of Dan, VA 24120. Stitching group meets 6:00 PM on Thursdays. Everyone welcome! Located just off the Blue Ridge Parkway in the beautiful Blue Ridge Mountains of Virginia. At the Intersection of Route 58 and the Blue Ridge Parkway in Meadows of Dan, come east on Route 58 and take the first right onto Squirrel Spur Road. Poppy's is on the corner of Concord Road and Squirrel Spur Road. If you are coming from the east Squirrel Spur Road is a left turn just before you get to the Blue Ridge Parkway. Local Wool, Alpaca, Angora and more! Visit our lovely shop in peaceful Meadows of Dan. Surrounded by pumpkin patches, gardens, and green hayfields, Greenberry House is your yarn vacation destination! 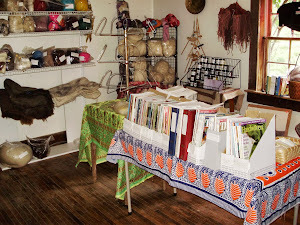 Many new books and lots of yarn! 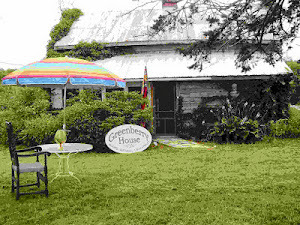 2013 by Greenberry House. Ethereal theme. Powered by Blogger.